As our lives become increasingly busy we look for shortcuts to pay bills, shop and bank. While they may save time, such shortcuts often involve risk and can lead to serious consequences. Cyber-related crimes involving identify theft, fraud and scams occur when someone wrongfully obtains and uses someone’s personal information to open credit cards or access their bank account. I’m sure many of you have received a phone call or email from a seemingly legitimate source. Many times, you are asked to verify or update personal information so they can “verify” they are talking to the right person. Criminals create fictitious websites for home repair, computer repair and donation to a well-known charity to name a few. The purpose of these websites is to gain personal information. It is important you protect yourself from identify theft and avoid many problems and possible loss of your hard-earned money. Do not share personal information via phone, mail or especially the Internet unless you know the person you are dealing with. Shred old receipts, account statements and unused offers of credit cards. Chose pin numbers that are difficult to guess. Don’t use a birth date or phone number or anything that might be common knowledge. Check your bank and credit card statements carefully. Report any unusual activity immediately. Make sure the Wi-Fi network is secure. Be extremely careful where you log into your accounts. Have you or someone you know been a victim of fraud or a scam? Many of us may have received an email or text message where you are asked to click on a link to get the message. That link may install malware that allows thieves/hackers access to your computer and gain personal information. If you don’t know the sender – don’t open the message. Unsolicited offers requiring you to act fast are most likely fraudulent. Emails from “a friend” in a foreign country asking for money so they can get home are an obvious scam to get you to send money. Especially vulnerable are those with a landline. 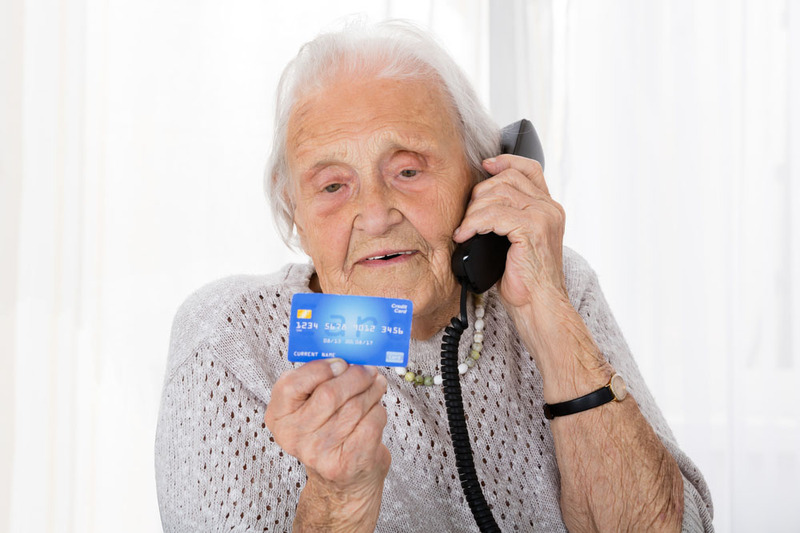 The scam occurs when the caller asks, “Can you hear me?” When you reply “yes” your reply is recorded and is used to authorize charges via telephone on the person’s utility card. I have covered only a few ways identify theft, scams or fraud can happen. Joan Koczor is an advocate for Maricopa seniors and a member of the Age-Friendly Maricopa Advisory Committee.